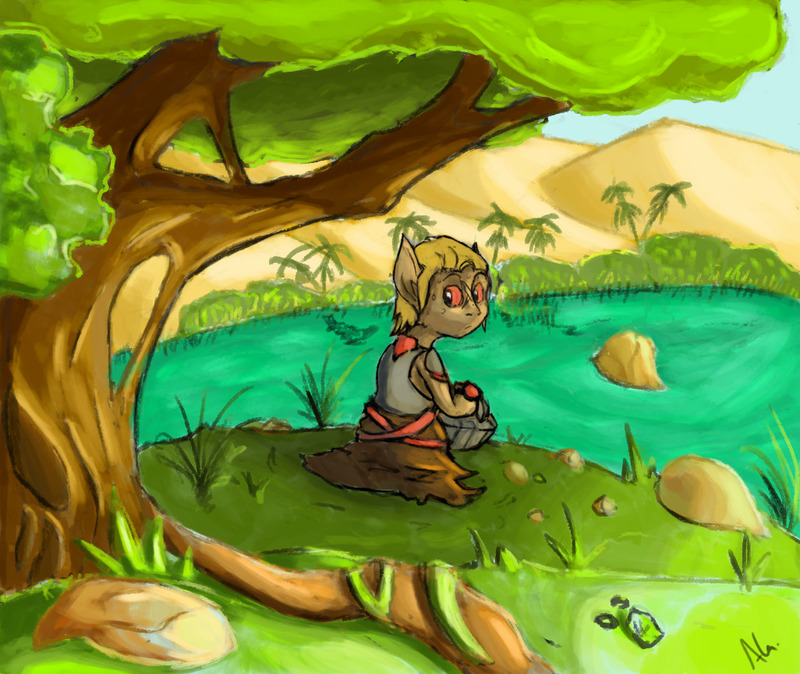 Here’s a look at Tyria on a lovely summer day by Akkee Artist. 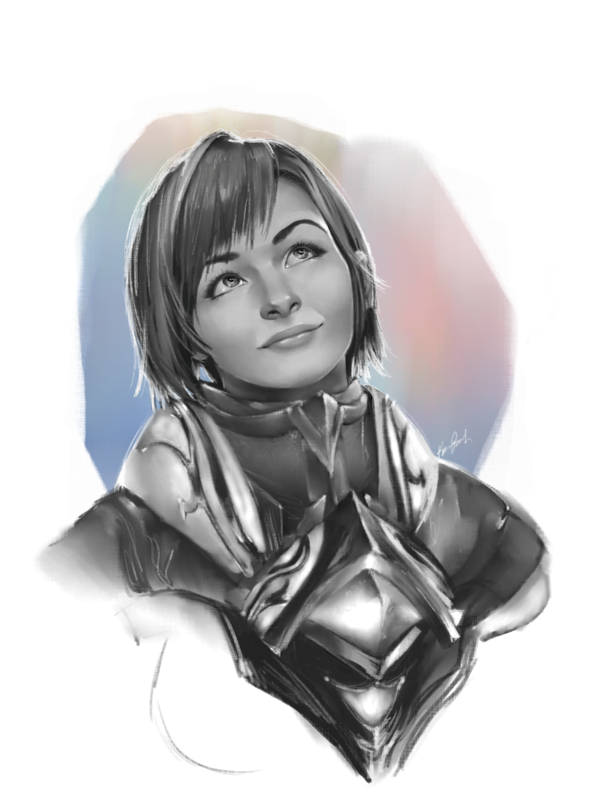 What a great guildie portrait by karendrawssometimes! 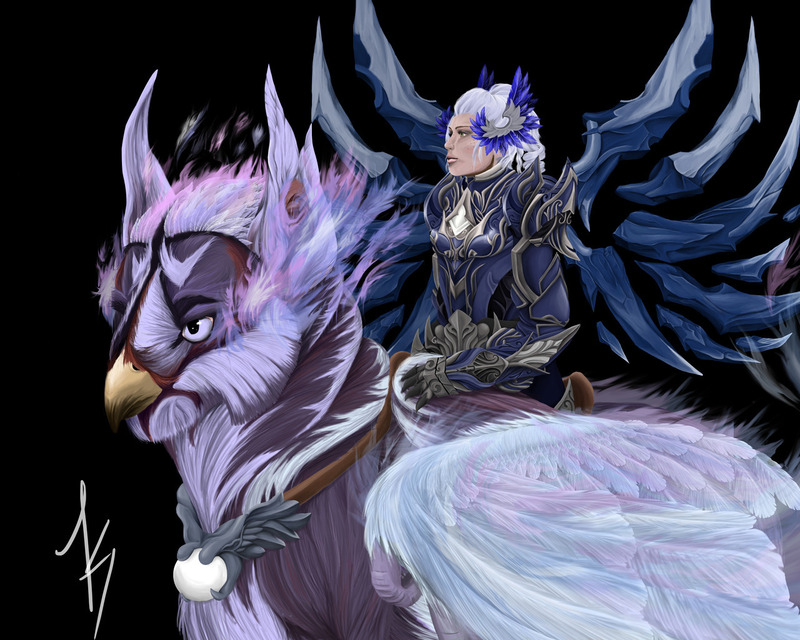 Lilith Moonmist created a stunning image of a human guardian and her griffon. 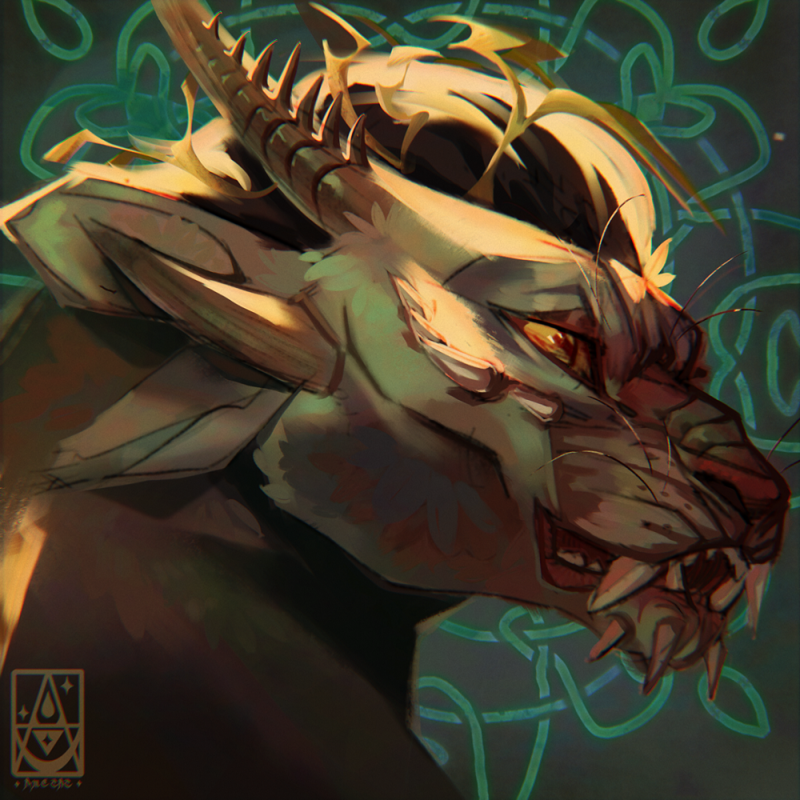 This noble charr seems to have found just the right portrait artist in ametatdraws. 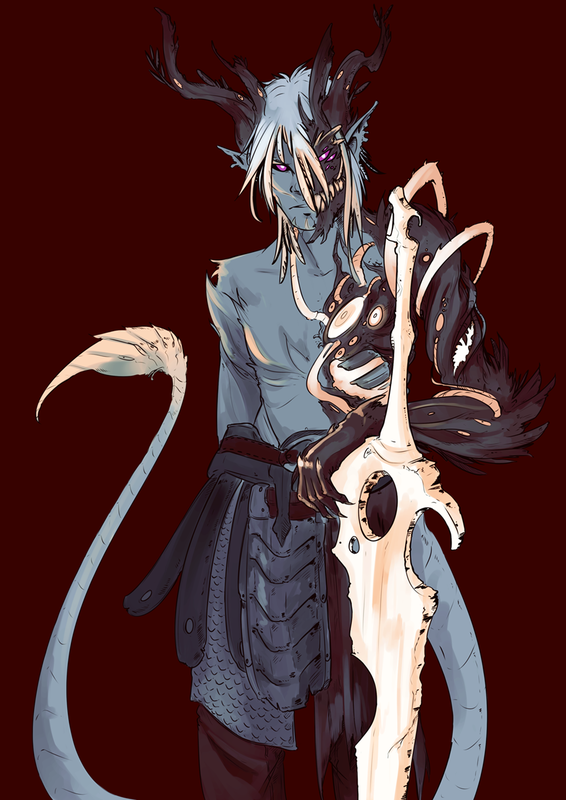 It’s great to compare the sketch and colored image of a “mordremvari” by Leiden Sygom. The next episode of Community Showcase Live will air in October. (You can catch the August show here.) Watch this space, our social media channels, and our official forums for the date of our upcoming Halloween-themed show. See you then!